Our latest Curriculum Leaflets will keep you informed about the Cornerstones projects being studied, including the learning activities that are planned and important day to day information. They will also give information about how you can help your child at home (linked with the taught curriculum) and weekly schedules for activities such as P.E. and home learning. Click on the links below to download the latest Curriculum Information Leaflet for children in Year 4. Parent Curriculum Leaflets will be added during the year at the start of each creative learning project. You can download Copley Junior's Recommended Reading List for Year 4 by clicking here. See the overview of what Year 4 will be learning during 2018-2019 by viewing their long term plan here. 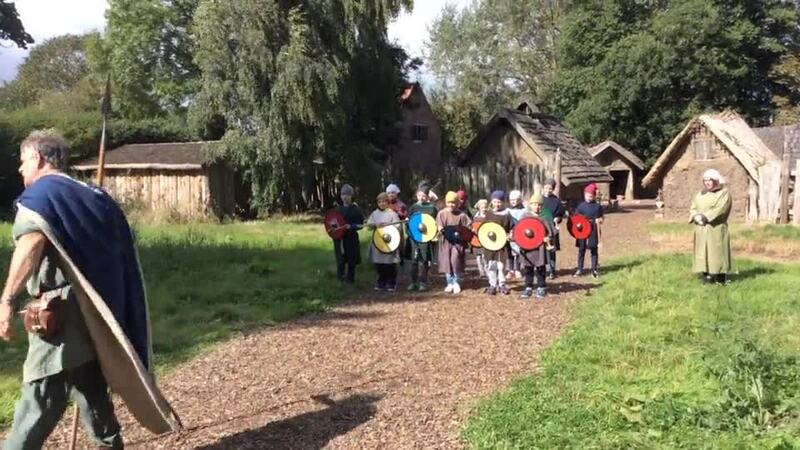 On Thursday 13th September, Year 4 went on an exciting trip to Murton Park, to fully experience what it was like to be a Viking. The children were greeted by a strong Viking woman named Runa, who prepared them for the day ahead. The children dressed as Vikings and, for one day only, the adults dressed as the children’s slaves! They then made their way to the Viking village where they met ‘My Lord’. Once My Lord had accepted them into his village, it was time to get to work! Throughout the day the children got to be craftsmen, shaping and decorating their own individual pots, farmers, preparing the land to ensure the crops would grow, they ground the flour for bread-making and collected wood, and they also learned how to be powerful Viking guards. It was a perfect, fun-filled day that helped kick start our Traders and Raiders topic. The children were wonderfully behaved and thoroughly enjoyed themselves. Click on the first picture below to view a photograph selection from our visit to Murton Park. In their Cornerstones learning, the children learned about significant Viking events and placed them in chronological order, and discovered where the Vikings came from and exactly where they settled, looking at maps of places that were very close to home! They have been busy undertaking research about different aspects of Viking life and with the information they have gathered, they will be producing fascinating pieces of research next half term. During their project 'Raiders and Traders' Year 4 used maps of Europe to identify the countries that the Viking raiders came from. The children started by locating the world’s countries, using maps and atlases to focus on Europe, including the location of Russia. The children then identified the different continents of the world and created a key. Children then annotated maps to find out where the Vikings came from and where they settled. In English, the children have looked at recounts, using their experiences from Murton Park to write an interesting account of the day’s events. They have also developed their descriptive writing skills, practising the different techniques, such as using adjectives, alliteration, similes and metaphors, and much more! We are at present delving into an Anglo Saxon world of danger and suspense through the story of 'Beowulf' which we hope will inspire the children to write a description full of suspense. As part of our history work Year 4 were given the choice of finding out about an aspect of Viking life they wanted to know more about. The children used library books, primary internet websites and information gained from their visit to Murton Park to research information and make notes. The children then chose how to present their learning. Please click on the picture link below to view some of Year 4's fantastic home learning work. It was lovely to welcome so many parents/carers and relatives to Year 4’s Viking express event. 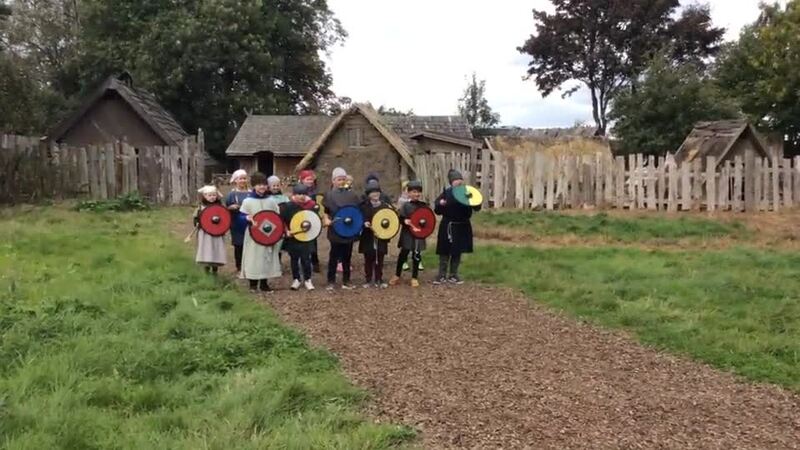 The children showcased some of their fantastic project work, they demonstrated how to defend a Viking raid and even invited the parents to join in! To read some of the comments from parents/carers and relatives about our express event, please click here. Children and staff looked rocktastic for the launch of our Times Tables Rock Star learning for 2018-2019. Miss Mellor explained how important learning times tables is and that, with lots of practice, children need to aim for instant recall of all times tables and division facts. Miss Mellor explained how the times tables rock stars programme works. To begin with, if you need more than 10 seconds to answer questions correctly, you are a rock 'wannabe'. You will climb up the ladder of rock stardom as you get quicker at answering questions accurately - so 6 seconds or less you will become a 'breakthrough artist' and at 4 seconds or less you will become a 'headliner'. Your aim is to become a 'rock star' - you will achieve this when you can answer times tables questions correctly in 3 seconds or less. If your recall becomes even quicker you can become a 'rock hero' and, finally, a 'rock god'! Our launch event finished with a teacher challenge - five brave (and very competitive) teachers tackled 100 instant recall questions against the clock. Miss Havercroft was victorious with a time of 1 minute 24 seconds! You can find out more about 'Times Tables Rock Stars' by clicking here. In their study of 'My Body', Year 4 took part in practical work to learn about the parts of the digestive system. Year 3 are really good at brushing their teeth and the disclosing tablets enabled children to see this. Children identified the different types of teeth in humans and their simple functions. They soaked eggs in different liquids for a number of days to investigate how the acidity of different liquids affected the shells and related this to the effect that different liquids have on our teeth. Many thanks to STEM Ambassadors Miss Watters and Mr Kirk who led fascinating workshops for Year 4. We learned about Miss Watter's work as an archaeologist and examined artefacts and jaw bones to uncover clues about the past. The interest and concentration in the children's faces was lovely to see and they asked so many great questions! Members of the Methodist Church work closely with Year 4 pupils each year. The 'Godly Play' sessions include visits to the Methodist Church and workshop sessions in school. The sessions are very lively and engaging and encourage children to explore their values and beliefs. Below are some of the photographs from a 'Godly Play' session at the Methodist Church, when children found out about all the different jobs undertaken by Reverend Frank. Then, the children learned about all the different and important features in the church and took part in a quiz! Click on the first image below to browse through our carousel of photographs. 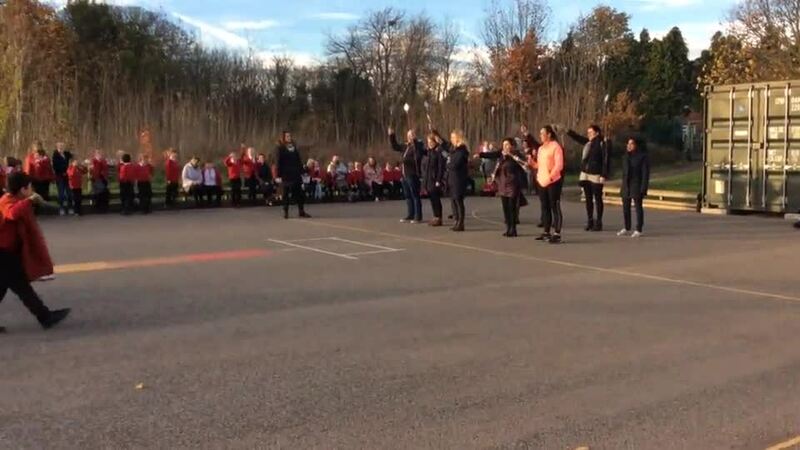 For Anti-Bullying Week, every year group took part in an activity to help the children consider positive behaviour, what bullying is and how to report any concerns. In Year 4 we wrote anti-bullying messages on a paper strip before putting them together to make a paper chain. We stand linked together in our anti-bullying campaign! Year 4 watched and discussed anti-bullying presentations, took part in discussion groups around key questions such as 'How is bullying different from conflict? 'and 'How would bullying make you feel?' before brainstorming their ideas to create posters to share with the class. Year 4 children launched their 'Road Trip USA' creative learning project by using their geography and map reading skills to navigate their way to locate famous American landmarks. Children also used their maths and geography skills as they devised programs to move tourists around a map of New York to visit their choice of locations. In their science lessons Year 4 children constructed simple series electrical circuits, identifying and naming the basic parts. Children used their knowledge of circuits to predict and then test whether or not a lamp would light in a simple series circuit and next they incorporated switches in their circuits too. Children then investigated common conductors and insulators of electricity. We started our project with a Roman day provided by museum staff from Murton Park with a Roman Centurion who taught us all about life as a Roman soldier. We learned all sorts of brilliant facts (one of the facts children like to remember the most has something to do with Roman toilet paper…I will say no more!). Children enjoyed an exciting day full of activities including a themed presentation and interactive talk, illustrated with a wide range of authentic artefacts. This was followed with craft and artefact handling activities and an active session practising preparations for a Roman battle. By the end of the day, all children successfully passed their Diploma and are all now fierce members of the Roman Army! Click on the first picture below to view a photograph selection from our 'I am Warrior' workshop day. 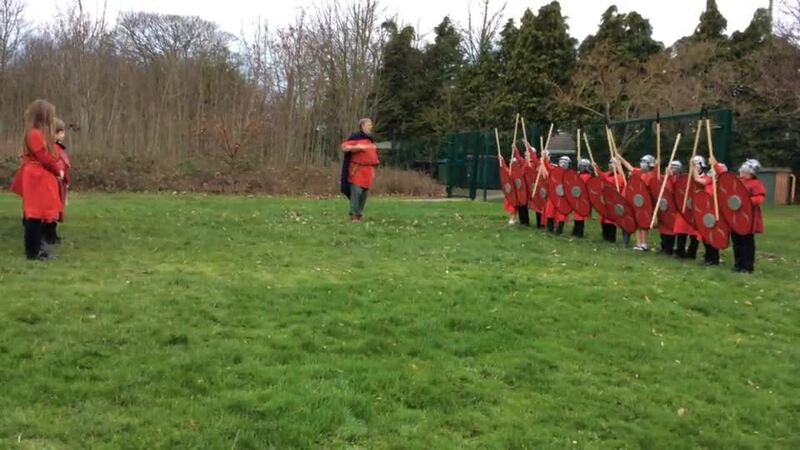 Click on the video clip below to see of the Roman Army training in action. Children used information from their workshop day, library books, picture cards and ipads to research information in order to compare Roman soldiers and Celtic warriors in terms of armour, weapons, appearance and footwear. We have compared images of Roman soldiers and Celtic warriors; we have learned about significant Roman events and have placed them on a chronological timeline; we have looked at images of Boudicca, deciding which images could be true representations and the children carried out research projects about their chosen Roman topic. In English, we have been writing diaries, first in character as the great Celtic warrior, Boudicca, and then as a strong Roman soldier. We have also written soliloquys, during which the children enjoyed empathising with these historical figures, imagining what they would have been feeling and what thoughts may have been racing through their heads as they were waiting to enter their final battle. In art, children designed and created their own mosaic tiles. Lovely work Year 4! After an exceedingly busy few weeks learning (nearly) all there is to know about the Romans and Celts, we were finally ready to share all of the exciting activities and brilliant work we have done! Our express event was jam-packed (much like the Colosseum) with parents, ready to see what the children have been learning about. First, the parents were invited into a Roman and Celtic camp on the night before battle where children shared their descriptive soliloquies. They were then transported through the medium of drama to the day of the final gruesome battle between Boudicca and her Celts and the Romans. 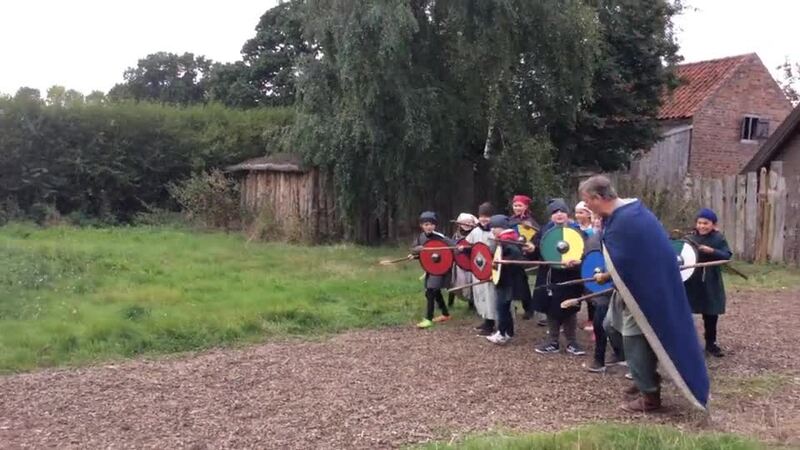 The children made fantastic use of their impressive Roman and Celtic shields to recreate the battle and after the battle was over, the Romans then demonstrated the different formations: the wedge and the tortoise. Suddenly, the hall transformed again into the colossal Colosseum and we were able to witness a highly entertaining and dramatic gladiator fight between Maximus, the Samnite and Crixus, the Retarius. Once the battle was over and Maximus was victorious, parents were then challenged to beat the children in a game of Tabla Lusarius; to translate and write in Roman script and explore the fantastic work the children had done for their ‘I Am Warrior’ project. We have all had a fantastic time during this creative learning project and we were exceedingly proud of how well the children did during our exciting and busy express event! We would also like to thank all parents who helped their children with their Roman and Celtic shields – they looked brilliant! Click on the first picture below to view a photograph selection from our express event. The lovely people from Godly Play have visited us twice in school and we have also visited the Methodist Church twice this term. During our most recent visit, we focused on the story of Easter and the children thoroughly enjoyed participating in the craft activities. We love visiting the Methodist Church and are always made so welcome! 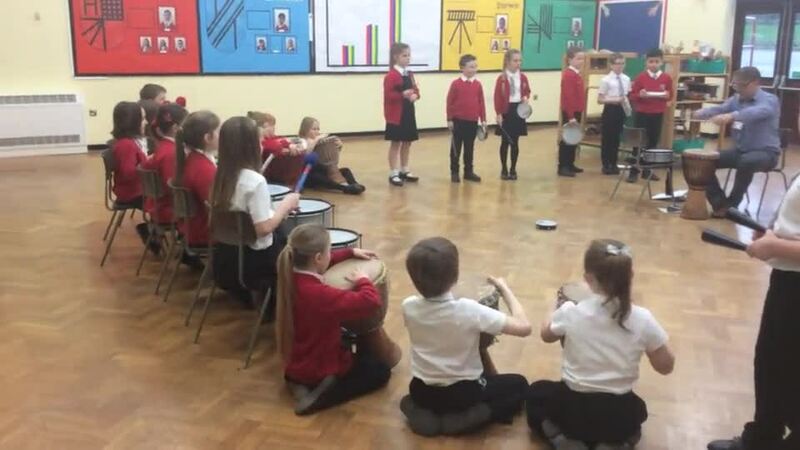 As part of our commitment to Wider Opportunities, we provide weekly Samba lessons for all children in Year 4. Mr West from the Music Service leads our Samba lessons and our enthusiastic children's singing and drumming may well be heard across Sprotbrough! Please click on the video clip below to watch a Samba lesson in action.